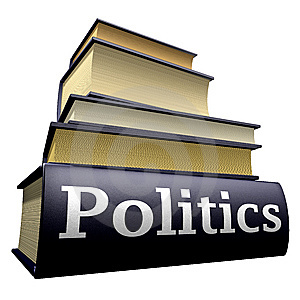 Political history is the description and analysis of significant political occasions, movements, thoughts, and leaders. Typically it is developed around the nation states. It is distinguished from but relevant to other areas of history such as economic history, social history, and military history. Usually, political history discusses events pertaining to nation-states and the political process in particular. As per Hegelian doctrine, Political History ‘is a perception of the state with a guiding force beyond the material benefits of its subjects: it meant that the state was the root factor of historical change’. This differs with one, for example, social history, which predominantly discusses the events and lifestyles of common folks, or people’s history, that is historical account from the view point of a lay person. Political history is, therefore, sometimes considered as more ‘traditional’ type of history, contrasting with so called more up-to-date approaches of other areas of history. The political world history is the history of the different political bodies formed by the Human race over the course of their existence on Earth and on how these states demarcate their borders. The history of political thinking traces its origins in antiquity. Political history or the history of political thinking during human existence entails Medieval period and the Renaissance. The Age of Enlightenment witnessed political institutions swelling from fundamental systems of monarchy and self-governance to the diverse democratic and communist systems that flourished in present Industrialied and the Modernized Era, in contrast, political systems have expanded from diffused frontier-type boundaries, to the fixed boundaries existing as of today.